I'm waking up from an unusual nap. 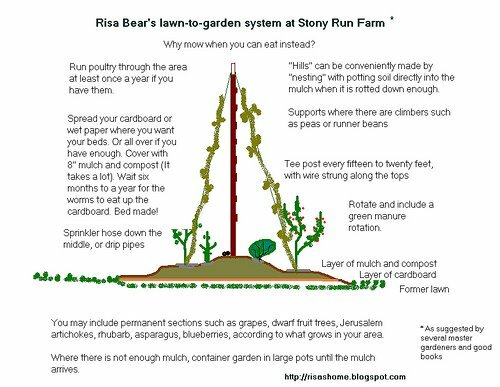 I was eating peas, and watching bees among the runner bean blossoms where the runners have climbed the pea vines, and thought I would get down on my knees to look in beneath the pea and bean and potato vines and see how the beets were doing, and the next thing I knew, zzzzzzz! When I awoke, I rolled over onto my back, and lay watching the clouds drift past the tops of the pea and bean trellises on either side of me, as the bees and hummingbirds trafficked back and forth between the rows. I could see some peas we'd been missing, shyly hiding among the leaves, but discoverable from below, and absentmindedly inveigled my hands up through the vines and picked them for dessert. Ummmm. Hmmm, yummmm. If anyone had seen me, perhaps they would think at first that I'd collapsed or something, lying out on the garden path like that; then they would hopefully notice the chewing. I haven't done as much this week as some of the weeks previously, as I'm beginning to realize my age. I'm napping a lot after major chores, and the naps sometimes stretch into overnighters. We got out more this weekend. The pic is from a birthday party of a dear friend. We gathered yesterday at the river for food, songs, and storytelling; a lovely afternoon. It reminded me of the outdoor church suppers that were such a large part of my childhood, only without quite so many yellow-jackets (this crowd doesn't eat a lot of meat). Last night, Beloved got out the guitar and sang with me, under the tiny holiday lights that I've strung through the lilacs over the patio. We did Banks of the Ohio, I Never Will Marry, Will Ye Go Lassie Go, and the song we sang when we met, Down in the Valley. We were interrupted twice: once by discovering that a buck, with eight-inch antlers, was tiptoeing past us to have a look at the apple trees, and later by discovering that the geese were listening to us with rapt attention. One Enchanted Evening! Today, as I was firewooding, I went back up to the house for the wheelbarrow, and when I returned a couple of minutes later, a doe was standing in the slash of the maple tree, right by the chainsaw, sniffing apples. As I approached her, a John Deere tractor towing a dump rake came down the road from the opposite direction, and for a moment she was unsure where to go and stayed rooted to the spot until I was uncomfortably (for both of us) close. She chose the Adlerian escape at last, leaping away at right angles to both farm woman and farm machinery, over the neighbor's pasture fence and far away. Undoubtedly not really far away, that just seemed like the thing to say. Thank goodness for the garden fences! Earlier today, before my unexpected nap, I went paddling on the reservoir while Beloved went to a music jam. When she returned, she found that I had toddled in, climbed into bed fully clothed, and was napping again. Independence Days report, week -- what -- ten? Sharon has apparently moved on to other things, but I find it a good way to organize my thoughts about the rhythm of what we're doing here. Harvested zucchini, knotweed, peas, kale, lettuce, chard, onions, beets, spinach, nasturtiums, mint, marjoram, chives, rosemary. Took down a 12" dbh maple and several smaller blackcherry trees and cut them up for firewood. Stored blueberries, flattened cardboard cartons. Compost. Firewood. Managed: Pursued the knotweed project some more, and aired out the compost pile. Prepped, well, there's the firewooding; which has been my main business of the week. Beloved bought three flats of blueberries and froze them. Cooked something new: still mixing various new kinds of switchel, and am experimenting with porridges that are based on oatmeal and other grains, with less emphasis on wheat. One part rolled wheat berries. Stir into boiling water, stir until well mixed and thickening. Add butter, salt, garden spices, honey, or molasses to taste, let stand a bit, serve. Simplicity itself, and doesn't take a lot of effort, or come in a loud, obnoxious box! Worked on local food systems? Lots of home-grown lunches, mostly peas, beets, beet greens, and hard-boiled eggs. Bought local blueberries. Traded duck eggs for chicken eggs, 'cuz we are in molt. Reduced waste? Umm -- oh, all of the above, yes? Learned a skill: double napping. We were known around the neighborhood as the "boot people" because we were out in the yard early in the spring in rubber boots when everyone else was inside watching TV, as God intended. Beloved started out gardening life as a Ruth Stout advocate, having read How to Have a Green Thumb Without an Aching Back and the No Work Garden Book. I had objections: the deep mulch sprouts its own weeds, the soil stays too cold too late; tilling is needed to bring up nutrients. She had rejoinders: The deep mulch stops more weeds than it starts, the new ones are much easier to pull, much less watering is required, worms and mycorrhizae are encouraged and they bring up the nutrients, dirt isn't splashed onto leaves by irrigation or rain, etc. I read the books. We discussed modifications (the Northwest's soil does stay cold too late into the season), applied them, and gradually I became a convert. Ruth Stout was not the first person to come up with these no-dig beds; I have found them in nineteenth century gardening texts. But she described it well and was a humorous and humane advocate for working with, rather than against, natural systems, and we like to plug her whenever we can. Recently, a visitor who is a master gardener looked at some of the things we are doing and kept up a running commentary throughout the tour, and Beloved took notes. Her two main points: a) Our circle garden requires too much watering, and too much of the water is evaporating away. b) The vinca bed need not be dug out, just cover it with cardboard and cover that with mulch and wait a year. We're adapting the suggestions and have tested them on three beds and hope to apply what we've learned across the entire front "lawn." It should give us enough bed space to do a proper rotation, one that can include green manures and even, in a pinch, grain crops. It should be an interesting and rewarding project. So here is the verbal description. Note that this is more work, and more complexity, than I make it sound, but I trust you to come up with your own solutions to any problems you may encounter. First, got lawn? I mean, real lawn, with soil, so that if you turn over some sod there are worms down there (at least in the spring). OK, you're good to go. 1. Pick a sunny area. Ten hours or better a day if you have it. Mow. Keep the clippings. 2. Mark off the length and width of your beds with string or what have you -- say, three feet by twelve (We're going for 4X50, to fit our irrigation hoses . But we have lots of room and don't mind long walks). Put an iron tee post into the ground in the middle of each end about two feet in from from the edge, or, in a long bed, about every 16 feet. Connect the posts with stout wire and anchor it in the ground at the edge, as if you were doing a vineyard. Run your beds north and south if you can. 3. Flatten enough cardboard or sections of moistened newspaper to shingle across the entire bed, right to all the marked edges. Don't leave any cardboard showing, Ms. Tacky! 4. Bury the cardboard out of sight under six to ten inches of mulch. Since your first plantings should be more than six months to a year away using this system, you can not only include compost but manure, whether it be horse, cow, chicken, rabbit -- use some common sense here, we're not talking dog, cat, or human. Your grass clippings -- and any leaves, hay, straw, kelp, rice hulls you can get, this is where they go. 5. You can water this in, which will help the process of turning cardboard into soil (the worms do it) and helps to anchor the mulch down from the wind. 6. Wait. Keep waiting. Are you still waiting? You did this last June and now it's March? Well, take a peek. 7. If you find that that enough of the cardboard/newspaper layer has gone through worms that roots could penetrate, plant! We do almost all our plantings these days either from potted-on-seedlings which we raise from seed or buy, or with such as squash, or beets or beans or corn, in "hills" which are depressions we make in the mulch, filled part-way with bought potting soil, seeded, then topped off with more potting soil to the desired depth, and water in. This differs from Ruth in that she could direct seed into ground after pulling back the mulch, but our ground is heavy clay and north aspect, as in cold. 8. If you can afford to drip irrigate, install now. We're sticking to our "soaker" hoses (the perforated kind) for the present, hence the fifty-foot beds. 9. If you have climbing plants, you can go get sticks and tie them to the overhead wire in an A-frame shape or use string (which seems to me a bit more work). Don't need the wire? We like having it there; you can hang clear plastic sheeting over it to cloche some crops, or netting to frustrate birds, or CDs on string to flash in the sun, or ... you see? Handy. We hang tools from it, too, so as not to lose them in the jungle. 10. Mix-and-match. As the mood and your experience lead you, these beds don't have to be all about vegetables. Raspberries, blueberries, dwarf fruit trees, rhubarb, Jerusalem artichoke (this stuff will do the bamboo trick on you, though), grains, green-manures, grape vines, or kiwifruit may fit into your scheme. Succesion crop; companion plant. 11. Your paths you may keep in grass and mow them for your clippings (as I have been doing) or give them the same cardboard treatment as a place for more sheet composting (as Beloved in advocating); either way, we hate to think of paving them with gravel or bricks or anything, but maybe that's just us. Now, all this is not for everyone, remember, we are out in the country, but we are laying out a deer fence around the entire area, and a poultry fence around the beds, so that hopefully there are never deer in the garden, but poultry around it because many bugs and slugs and weeds are migratory and the birds can intercept, and some times of the year you can let ducks and geese (chickens less so, because they tear out the mulch) in to patrol the beds for slugs (ducks) and weeds (geese). Or you might prep a bed the preceding years by running a chicken tractor over it, it's your call. But on a city lot or a country place, it would seem like this bed design has enough going for it, with little digging, no construction of bed retaining walls, or much investment in anything but mulch, mulch mulch (which will need replenishing for as much of forever as you will be up for). Or maybe you would rather lavish all that attention on a lawn. To each her own, yes? For the following I stripped the better leaves from whole pulled bolted spinach, which I gave to the chickens, ducks and geese. Then I watched them eat, while they watched me eat. This seemed a satisfactory arrangement. You might prefer the traditional ginger, but I'm not that big on ginger. Planted anything? Not so much ... lupine, zinnia starts. The one bed along the walk from the driveway, our "flower garden," was part of our spring garden this year and now the flowers are a succession planting, after the broccoli, cauliflower and lettuce were done there. Harvested anything? One zucchini!! Definitely a courgette ... Peas, joi choi, spinach, beets, chard, kale, nasturtium, onion greens. We got our electric shredder and have begun harvesting the knotweed for mulching/composting material. DO NOT TRY THIS if you think you might get any seeds or roots into it! We're hurrying to beat seed set. Preserved anything? Sugar Snap peas, joi choi, last of the spinach. This has been our longest pea season, with four plantings coming in serially. The heat has backed off, which is a help. Stored anything? More flattened cardboard cartons. We will need enough to cover 2500 square feet. And some compost, see under Harvest. Managed reserves? Painted the west side of the house and tearing some dry rot out around the garage window on that side. Some of the guttering was nailed on so well, and was home to so many wasps, that I have been pulling off sections with a four-pulley block and tackle. This tool, which we got from my dad, came threaded with a tar-impregnated hempen rope, which was Hannah knows how old when it came to us thirty years ago; the rope gave out twenty years later and we have re-threaded the pulleys with a 100 foot Goldline rope left over from our brief fling with mountaineering; no one believes how much this thing can pull until they see it in action. Rips the gutters off nicely, and one can stand well out of the way. Prepped anything? Not entirely sure what Sharon means by this ... but have been making beanpoles out of any knotweed stems too vigorous to merit the shredder treatment ... it's a pretty wimpy shredder ... and stacking them underneath the apple trees as "mulch" while drying. whole wheat flour till the dough "rises off the sides" of the mixing bowl (sticks together). That's four scoops with the bowl I use, plus a little, by eye and touch (hands should not stick too easily to the lump). I mix by hand with a wooden paddle until the dough stiffens too much for my old arms to stir, then flour my hands and knead until the lump is smooth. Cut into two equal loaves, shape, and drop into two pre-greased ironstone plates. Let rise (I find one rise enough) and bake at 340 degrees F. for 55 to 60 minute. Tip from plate, thump bottom of loaf, if it's brown and sounds hollow, tip out onto cooling rack. Serve hot or let cool, bag, refrigerate or freeze. In a week or so, if any of the bread is getting stale, use in soup, stir fry, French toast, crumble up and re-use in new bread, or, as a last resort, add to the compost or dissolve it into the greywater (I do this if the bread starts its own garden, so to speak). Worked on local food systems? Lots of home-grown lunches, emphasizing the joi choi and hard-boiled eggs. Reduced waste? We've begun harvesting bolted brassicas to take to the chickens, whose quarter-acre of grass gives out about this time every year. When I steam veggies, or run cold water over blanched vegs, some I use in bread or soup, some in switchel, and rest goes into the grey water and out to the fruit trees or Beloved's rhodies. More grey water to fruit trees. Learned a skill? Well, I replaced a broken loading gate on my dad's old .357 Single Action Army. That counts, right? The gate I ordered was not an exact match (this is a West German replica, made in 1971, and the gate is a Colt part) and required some work at the bench grinder. Then I took it to the local indoor range, where I found it worked properly and is very accurate. Whee! Plant Something: Last of the potatoes. Harvest Something: Cauliflower, peas, lettuce, spinach, beets, bok choi, mustard, onion greens, nasturtium, chives. Eggs. The cauliflower was so spectacular that Beloved agreed to pose with one for a cauli-portrait, which was nice as I consider her super-photogenic, but she's one of those that-camera-will-steal-my-ghost people. Store Something: Firewood, kindling, a lot of flattened cardboard cartons. Manage Reserves: Finally dealing with a decade of deferred maintenance. Painted the north side of the house and am pulling defunct gutters off in preparation for re-roofing. Also wrote a check for $250 to go toward principal on the last $6,500 of our one remaining debt. What with what happened to IndyMac, it seemed the right thing to do with what little discretionary money we have. Also under managing reserves: We don't air condition and the 95 degree days are a danger; we're not young any more. So we are managing our reserves of strength by taking siestas. If you're house painting and go indoors to lie down and cool off and feel the least bit sleepy, SLEEP. Give it ten to twenty minutes. You'll rise up ready to tackle whatever, and as the light lasts so much longer in the summer (especially north of, say, 40 degrees latitude, or south of same, in that other hemisphere) you're good until 9:30 or 10 p.m. But without the nap you could become a danger to yourself as the evening wears on. See under Learned a Skill, below. Prepped: set up one of next year's new "raised" beds -- this one was the vinca border along the north side of the house, under the kitchen window, then on the east side around the corner to the "patio." There's a concrete walkway along the entire length of the bed, making it ideal for inclement-weather harvesting. A couple of months ago I mowed the vinca, an invasive species (and mulched fruit trees with the clippings), then smothered the bed with black plastic until we could scrape up enough cardboard. Yesterday, we moved the potted tomatoes and potatoes, pulled off the plastic, flattened all the boxes and spread them over the bed, then distributed a bale of straw over the whole thing. This bed will be watered from time to time to encourage earthworms to move in and convert the vinca roots and cardboard into castings, and then it should be ready for use as a spring garden. Size: 4X60 feet. Cooked Something New: have taken to cutting up bread (home baked buckwheat/rye/oats/wholewheat) as it gets a little toward -- well -- stale -- and layering it underneath the stir fried greens and hard-boiled duck eggs. Way better than it sounds. Worked on Local Food Systems: Selling eggs regularly. Have taken to keeping the little rice steamer handy and whenever I come in for a glass of tea or water (it's been 95 four of the last six days!) I bring in some greens or peas, blanch them in the steam, rinse, drain, and bag up in a labeled quart freezer bag and freeze, before going back to my house painting. The whole chore takes about ten minutes, combined with the tea break. Reduced Waste: More grey water to fruit trees. Mixed two gallons of hideous pale green and pale blue paint left over from a color scheme at my mom's place that she had here, eight years ago. This resulted in a pleasant enough sort of dark olive green that I'm painting the foundation of the our house with it, to hide the robin-egg-blue that the previous homeowner had sprayed all over it. I could never live in a robin-egg-blue house. Umm, okay, so if it was the last house in the world, sure. A cave might be nice, in that case. I have never spray painted. A roller and a brush are good enough. Learned a Skill: How to use a combination folding-extension ladder, which I got for half of retail. These things can be used as fruit picking and pruning ladders and also straightened out to seventeen feet for roofing and gutter work. But it took a little puzzling out, the first time. And: How not to use a bench vise and pipe wrench. I put too much body english into trying to salvage a galvanized 1/2" elbow that had fused onto a pipe, fell backwards over a little red wagon full of geegaws, and punctured my fanny with a wicked-looking 7" gutter nail. Not much of it got into my backside, but my pride was rather wounded. I used to be good at this stuff! Plant something: it's the lull before fall garden things go in. Went to the discount grocery and found some intriguing little potatoes (they cook up yellow like Yukon Gold and taste the same but look different) in five-pound sacks that have begun to sprout, bought two sacks for seed potatoes and will put them in around other things over the next week. Harvest Something: Peas!!!! Lettuce, spinach, garlic, beet greens, bok choi, mustard, onion greens, dandelions, Japanese knotweed (for stock feed, bean poles, mulch, and compost), nasturtium, rosemary, marjoram, chives. As always, chicken and duck eggs. Preserve Something: Put up seven quarts of snap peas, four of greens (mostly spinach). Store Something: More firewood, kindling, bean poles, feed sacks (to hold up insulation under house). Manage Reserves: Hit the thrift store, found two terrific trivets, a cream dispenser, decanter, serrated butcher knife (for cutting weeds) -- $1 each. Covered the chicken house with knotweed branches to shade the poultry while we're away for the Fourth. Prepped: Cleaned up one exterior wall to repaint. Cooked Something New: discovered a mild kind of mustard greens that are good in the stir fries. Reduced Waste: Grey water to fruit trees. Composted knotweed leaves. Rode the bus. Learned a Skill: Techno Week. I figured out the timer on the digital camera (the instructions in the manual made no sense to me). Beloved learned how to make new folders on a computer and sort and organize files. I am extremely hearing impaired, and this week I began learning to use my new Captel telephone. Or; Learned Something New: About Spelt, Eikorn, Emmer, Kamut, Sibirisches, and Urkorn, and that we might be able to grow and harvest one of these (instead of winter wheat). A little away time, they say, is a good thing, so Beloved and I took Last Son to Daughter's place in the Big City To The North, so they could go see the major fireworks there together, and headed for our favorite hideaway, a tiny trailer (but sited on its own lot) belonging to friends of ours, in a tiny town on the edge of the not-tiny Pacific Ocean. A stone's throw from our own place by air, but by road, it seems far -- and it is. All the approaches are along hair-raising turns of road with sun-drenched dropoffs to one side and fern-clad, perpetually shaded cliffs looming on the other, and the occasional tunnel -- one finds oneself continually putting on and taking off sunglasses, and then at the end there are leaden grey skies and a booming salt wind, cold in July, cold in any month -- really February, when things sometimes calm down mysteriously, can be the easiest month, between hammering storms out of the Gulf of Alaska. Not an easy place to live, it's a good one to visit, if you can find it. Yet people do, and the few streets are clogged with traffic, much of it surely boorish beyond the patience of the townies, and yet they are unfailingly welcoming, not just of the tourist dollars, but of the company of so many strangers. There's a tiny airport right in the middle of it all, and families walking to the bridge to amble along the five miles of beach sometimes duck, hardly breaking off conversation, as a Cessna roars in at little more than head-height. There's a brew-pub by the Cape -- their award-winning India Pale Ale has a taste that reminds one a bit of fresh pine and fir needles -- and yet is really very good -- and by the pub runs a corduroy road of fifteen-ton concrete blocks down onto the beach, where the shelter of the Cape and the Rock led settlers to devise a fishing fleet of dories launched directly into the surf. The dories have fallen upon hard times -- no salmon. No salmon fishing allowed at all this year, as a species once numbered into the billions slips into near oblivion, trawled, long-lined, seined, dammed, and fed a steady diet of agricultural chemicals, leaving the dorymen -- rod-and-reel people -- high and all too dry. Those Who Know Better Than We have resorted to the usual -- fish farming and hatcheries -- but the hatchery fish deplete the gene pool and the sea lice from the hatcheries have become an epidemic among the sea-run fish, both those from the wild and those -- now the vast majority of those still alive -- from the hatcheries. It's a Situation, like many others around the over-humaned globe. Tuna, which have throughout most of this coast's known history lived farther south, have moved in as the globe warms, but they are shore-shy and live well out of reach of many of the boats. Those that can travel safely the twelve or more miles to get at them are now beached by the five-dollar-a-gallon diesel prices. Considering these prices, and the way our own driving adds its tiny but measurable fillip to the Situation, Beloved and I wonder if this might be our last time here. We're drawn, yet again, by the mind-numbing beauty, and by memories. The kids practically grew up in this town, living for weeks at a time in the sand, wind, and stinging parallel-to-the-ground rains, picking up sand dollars, curious round stones and bits of driftwood, gull feathers, and such, trading shy glances with the dolphins, sea lions, harbor seals and pelicans, and poking their snub noses into shore-pine thickets, caves and lighthouses. Today I went over to the beach and walked south for three miles and then north for three miles. Nothing happened of any particular interest to tell you about -- just that my heart sang the whole way. It's no good beachcombing in July; the sand was so cleanly that any broken bit of mussel shell to flip over with a toe was a relief to the monotony. I found one rock of any interest at all. There was a flight of pelicans. I was observed by a sea lion. A whole lot of dead sand crabs lay belly up on the margin of the tide line, to be picked over by fastidious crows.. I brought the rock to Beloved, whose feet have been bothering her and who had reluctantly elected to stay behind. She turned it in her hands. It was smooth rounded and elongated, gray with brown patches, pointed at one end and flat at the other. She stood it on end on a side table. "Look," she said. "It's a sea lion."